The American Health Council is proud to select Kerry McCann, Registered Nurse at Amedisys, to join their Board of Nurses, who recognize and honor professional nurses who go above and beyond to achieve better service in medicine and healthcare. 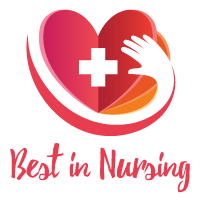 With 12 years in the healthcare industry, McCann earned a BSN in nursing from the College of Saint Elizabeth in Convent Station, New Jersey (2010), possessing expertise in brain injuries, adult oncology, and home healthcare. She was drawn to nursing as she has always been health-conscious, developing a love for science and exercise. When her grandfather fell ill, McCann overheard his praise for the excellent service he received from his nurses, thus inspiring her current career. Regarding her professional accomplishments, McCann founded a specialized program at Morristown Memorial Hospital, which provides supportive council to the oncology nursing staff, giving them the opportunity to openly discuss their feelings and concerns as well as the hardships experienced while caring for their patients. She has been acknowledged several times by Morristown Memorial Hospital with multiple “ACE” awards (a recognition given to nurses who the management feels go above and beyond their everyday responsibilities), as well as being inducted to the College of Saint Elizabeth’s Honor Society. McCann is most proud to be professionally associated with the alumni of Mountainside School of Nursing. Her professional goals within the next five years include finishing the necessary education to become a nurse practitioner, concentrating on psychology. This award-winning caregiver cites her family’s love and pride toward her, as well as her marriage to her proud husband Joe D’Alise in 2016, as personal achievements. Joe’s mother, then a breast cancer patient, had been admitted into hospice care when he and Kerry first met. Sadly, Joe’s mother passed away the following day. Joe and his family firmly believes that his mother played a role is Kerry and Joe’s first encounter and chose Kerry to be with her son, knowing that, in her passing, he would find true love in Kerry. In her spare time, McCann enjoys exercising, going to the beach, painting, attending concerts, and spending time with her husband. Her charitable contributions include the Susan G. Komen 3-Day Breast Cancer Walk, for which she volunteered five consecutive years. Registered Nurse at Amedisys, Inc.
Our strategy is to become the best choice for care wherever our patients call home. We’ll do that by excelling in clinical distinction; becoming an employer of choice; achieving operational excellence and efficiency – allowing Amedisys to make a difference in the lives of even more patients and their families.